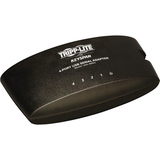 If you need to connect a PDA, digital camera, modem or anISDN terminal with a serial port to your laptop or tablet, then Tripp Lite'sU209-005-DB25 USB-to-Serial Cable Adapter is a great choice. 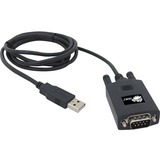 The U209-005-DB25allows you to connect legacy RS232 peripherals with either a 9-pin DB9 or25-pin DB25 connector to your computer's USB port. 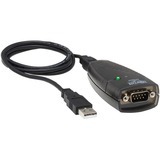 The U209-005-DB25 comes withUSB A (Male) and DB9 (Male) connectors; the included DB9-to-DB25 cable adaptercan be inserted onto the DB9 connector for use in USB-to-DB25 (M/M) connections.The cable is plug-and-play and requires no external power. The U209-005-DB25supports data transfer rates up to 230 kbps and has a 5 ft. overall length. Itis compatible with Windows, Mac and Linux operating systems, as well as Androidtablets / phones with a USB Host Mode (OTG) cable (Tripp Lite U052-06N) and OS version 3.2 and above.